RICHMOND – While workers in the aerospace field play an important role in supporting Virginia’s economy and the Commonwealth’s capacity for innovation, there is too little coordination and investment by the state government to seize the industry’s full potential, says a new report from the Virginia Academy of Science, Engineering and Medicine. Case studies demonstrate an active aerospace sector, including commercial space and UAS, to promote the development of companies that provide data analytics and other services. 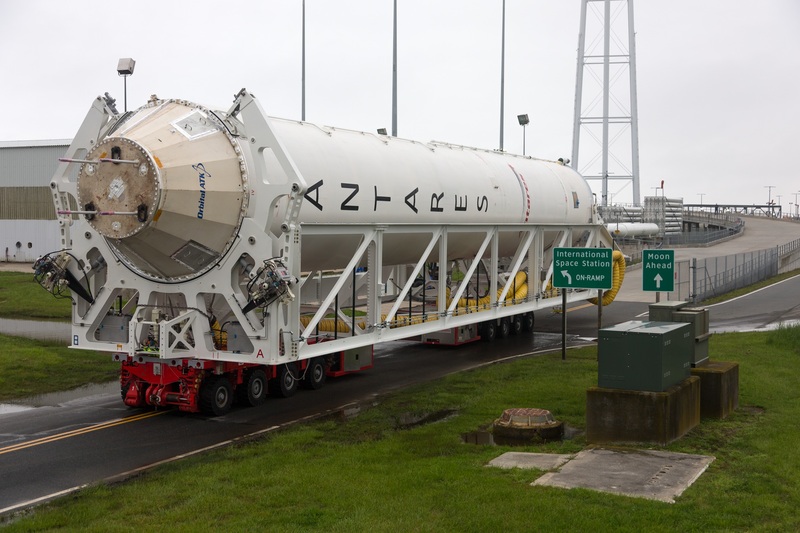 Omni Earth, a privately funded aerospace manufacturer and spaceflight services company chose to locate in Northern Virginia for its access to skilled workforce and proximity to large aerospace companies such as Orbital ATK, Boeing, and Lockheed Martin. In addition to workforce and geography, Virginia possesses a number of distinct advantages to support the development of commercial space initiatives. These include the Virginia Commercial Space Flight Authority and the Mid-Atlantic Regional Spaceport, two major NASA facilities, Department of Defense and intelligence agencies with active space programs, major commercial space corporations, and leading universities and public/private consortia engaged in space-related R&D and education. However, these advantages are not coordinated in a way to maximize their potential, the study found. Similar issues emerge when the study considered the emerging UAS industry. Virginia has a number of facilities and initiatives required to develop a commercial UAS industry and support military UAS. Virginia has also been the site of several UAS test programs. Most of these efforts, however, are in their formative phases and have not been well coordinated. The committee reviewed the two recent successes in economic development – Orbital ATK and the Federal Aviation Administration test site at the Mid Atlantic Regional Spaceport. In spite of these visible achievements, the state has not secured a commitment from a major commercial space company since it signed its first agreement with Orbital ATK in 2008. Citing structural issues with the Virginia Economic Development Partnership, there is still no one leadership position with authority to lead these efforts for Virginia. The study also examined states that have successfully attracted aerospace companies – Alabama, California, Colorado, Florida, Georgia, Nebraska, New York, North Carolina, North Dakota, South Carolina, and Texas. Florida and North Dakota especially stood out for their success in commercial space and UAS, respectively. 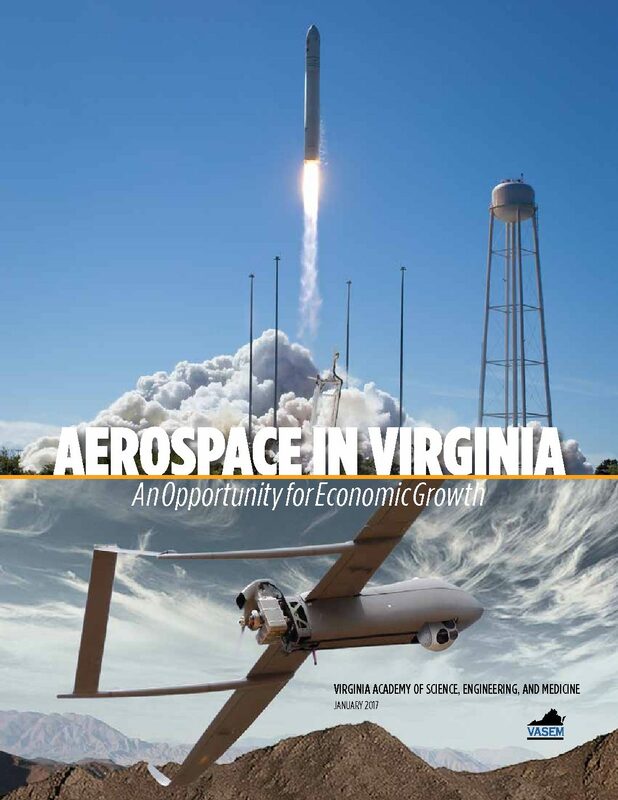 The Governor and General Assembly should consider establishing a senior, high-level aerospace economic development position with direct access to the governor and the authority to negotiate with aerospace companies considering investing in Virginia, the report says. For example, the committee found that Virginia lost the competition for Blue Origin because, in part, it lacks a single authority with negotiating power. The Commonwealth’s aerospace industry is now, and will likely remain for many years, heavily dependent on federal spending. Federal spending for aerospace programs, in total, will most likely remain relatively flat for the next few years. This covers DoD and intelligence agency spending for space and UAS as well as non-defense discretionary spending by agencies like NASA and the NSF. However, opportunities will emerge and the competition to attract them will be fierce. Virginia must aggressively search for these and secure them to remain competitive. The findings and recommendations in this report show that Virginia has a limited window of opportunity to become a national leader in the commercial space and UAS industries. These fields provide high-paying jobs and, perhaps more importantly, create many additional good jobs by attracting supporting industries. These include supply chain businesses, contractors, and new technology development groups. New markets in UAS and in services based on commercial satellite data and drone data are emerging. However, if Virginia is to realize the potential of its substantial assets and its opportunities, it must act now. The study was sponsored by the Virginia Academy of Science Engineering and Medicine and the Joint Commission on Technology and Science. VASEM is a private nonprofit institution that provide independent, objective analysis and advice to the nation to solve complex problems and inform public policy decisions related to science, technology, and medicine. A committee roster follows.